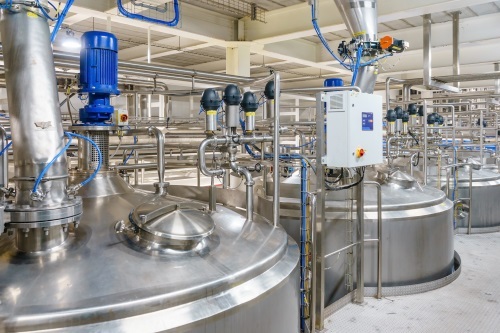 The batch industry relies on dependable batch management and control systems to handle product recipes and formulas and to ensure the quality, consistency and traceability of production. Every batch must be monitored and assessed throughout its entire execution cycle to ensure product reliability, efficiency and profitability. The availability of production data throughout the entire batch execution is therefore critically important. Redundancy helps to increase both the availability and reliability of data to improve the batch management system performance, helping to ensure that batch data collection is maintained for every recipe. A customer required redundancy of the data collection path for their Yokogawa batch installation including, the historisation of master recipes read directly from the DCS (CENTUM VP Batch) and process values, alarm and events and batch data read via Exaopc. Exaquantum/Batch has the ability to monitor two DCS human interface stations in order to provide redundancy of the master recipe data collection. Exaopc-RD (Redundancy) provides automatic redundancy for process and alarm and events data. Exaopc-RD does not support redundancy for OPC batch data. If the configured Exaopc/Batch server fails then Exaquantum/Batch will continue to try to re-connect to it until, either the Exaopc/Batch server is restarted, or the Exaquantum/Batch configuration is changed and the automatic batch data collection service is restarted. Exaquantum/Batch requires manual intervention to switch between Exaopc/Batch servers. In the event of a failure and recovery of one Exaopc/ Batch server, batches created or completed during this period will not be recognized and read into the Exaquantum/Batch database until after connection has been re-established, providing they have not been deleted from the DCS. Any status changes during this ‘down time’ will be missed as well. To overcome this redundancy gap, Yokogawa developed a solution to provide an external monitoring and failover service to run alongside Exaquantum/Batch to increase the reliability and availability of batch data collection following failure and recovery of an Exaopc server. This standalone application provided the ability to switch the automatic batch data collection (ABDC) between a pair of Exaopc/Batch servers following failure of the connection to the current live Exaopc/Batch server or failure of the (connected) Exaopc/Batch server. This helps to safeguard continued data collection following a failure or network disruption to one Exaopc server. Yokogawa developed a solution to provide an external monitoring and failover service to run alongside Exaquantum/Batch to increase the reliability of batch data collection following failure and recovery of the Exaopc/Batch server.